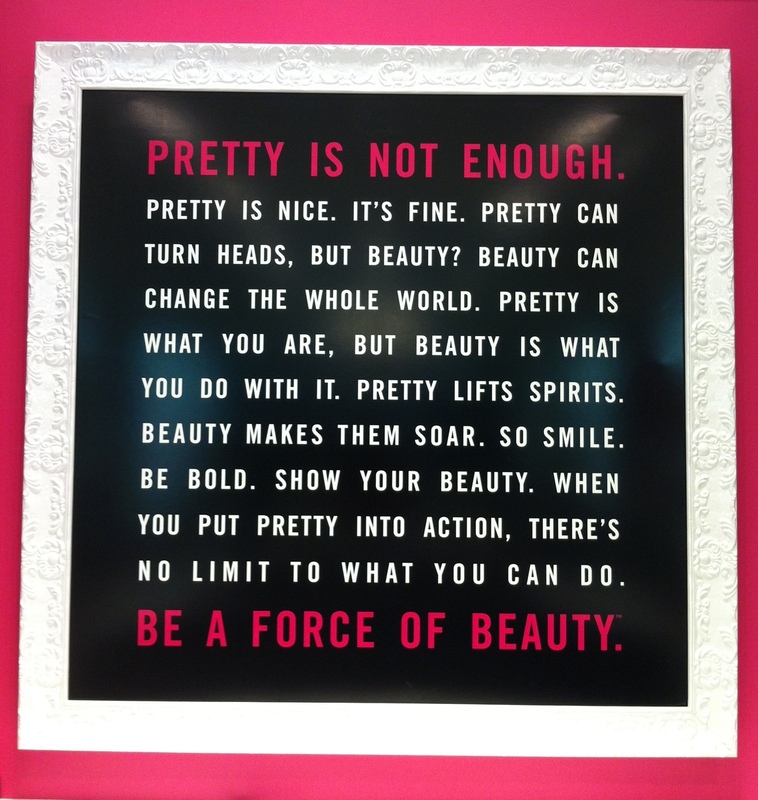 This sign caught my eye at Bare Minerals today and I must say, this is the most inspiring thing I've seen at the mall in a long time. Ladies, pretty truly is not enough. God has called us to be beautiful and to leave our beauty mark on the world. Be encouraged today that God can use our beauty to lead people to Him. To change the world! Just like Esther, our beauty & loveliness can open a door of opportunity to save a generation of people! Beautiful one, you are a force of beauty for the kingdom. Let your light shine and never dim your light to make others feel comfortable. Be bold in who you are and leave your mark! Newer PostAm I Ugly or Pretty?